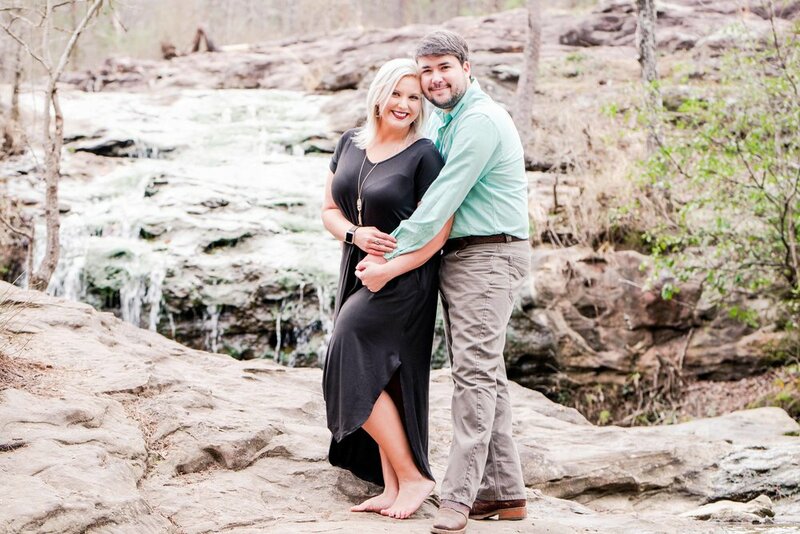 Two years and thousands of long-distance miles later, these two are getting married this fall. Kasey & Dylan are planning a destination wedding in the mountains of Tennessee, so I found the perfect little location for them. The Moss Rock Preserve in Hoover, Alabama gave us an outdoor element along with a quaint little neighborhood tucked away from the bustle of the city. Upon getting to know Kasey, who won my New City New Year Giveaway on Facebook, she told me that her & her fiance LOVED adventures. So it was no surprise to me when they agreed to go hiking through boulders for their engagement portrait session. Dylan loves Kasey’s spontaneity. And Kasey adores how well Dylan cares for her & her family. I only spent a couple of hours with these two, but I witnessed how well they complimented one another. I consider myself lucky to have clients that trust this Birmingham, Alabama Wedding Photographer to document their season of life. 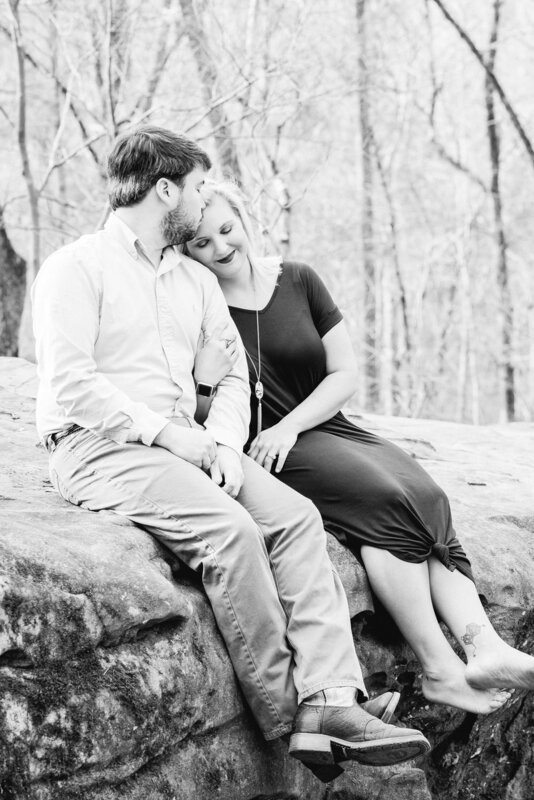 Do you care to join me on an exploration of Kasey & Dylan’s Moss Rock Preserve engagement session in the images below, I promise you won’t be disappointed. Bonus: there’s a waterfall involved! I don’t know who’s more smitten, Kasey or Dylan?! I’d say it’s a close tie! 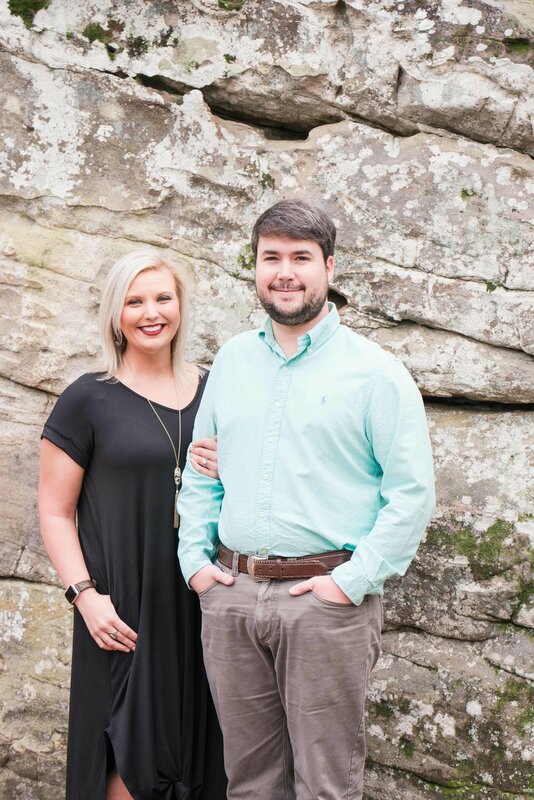 Kasey & Dylan are planning a destination wedding in the mountains of Tennessee this fall, so I found this second location at the Moss Rock Preserve perfect for them. They also LOVE adventures & nothing says adventure like hiking through boulders to discover a waterfall! Shout out to Kasey for hiking through the rock preserve in wedges! What a champ! Kasey & Dylan, thank you for trusting me with your love story. I am excited to watch ya’ll move mountains over the years together. It’s going to be the best adventure yet!